Kalaya Delmars, Holistic Health Therapist, developing for over 30 years her unique synergy therapy approach; which eliminates chronic pain, relieves stress reactions, clears the emotional charge and resets the body's functional balance. She achieves these results by integrating the many modalities in which she is certified; within the Kinesiology, massage, aquatic bodywork, and energy healing fields. At the early age of 10, Kalaya was drawn to massage when her father's back pain and spinal surgeries began. In her desire to ease his pain and others, she became the "back rubber" in the family. Her college major was physical education, having an in-depth study of Anatomy, Physiology and Kinesiology would establish a broad foundation, and later, influence her decision to acquire Sports Massage training. As a sports and injury specialist, she established a massage dept. within a Sports Rehab Clinic, providing recovery from injury and surgery to professional athletes. Kalaya's Specialized Kinesiology Certification incorporated the Asian philosophy of healing; muscles function optimally, organ function improves as the meridians energy comes into balance. Her deep understanding of the inter-relatedness of all systems creates the sustainable effect of her massage. This knowledge would inform her Kinesio-Massage Alchemy. 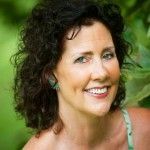 For seven years as owner/therapist of Manawai Watsu Kauai, Kalaya received worldwide acclaim in nine publications, including Travel & Leisure and Luxury Spa Finder for her expertise as an Aquatic Bodywork Specialist. She is a Jahara Clinical and Watsu Adaptive Specialist, Healing Dance and Water Dance Therapist, with 1250 hours of aquatic training. While capable of offering sessions of any one of these modalities, she skillfully creates a blending that is unique to each individual's need in the moment. She healed her own breast cancer by increasing her cells energy vibration and clearing the toxic burden from her body. She clearly understands the link between acidic toxins and all inflammatory diseases of the body. This experience leads to the VIBEnergy device and use of the Detox footbath in her wellness practice. She delved deep into many Energy Healing Modalities: Reiki, Integrative Breath Work, and Theta Healing, As a certified practitioner of Matrix Energetics she utilizes the quantum field of light & information to create an amazing shift in the clients' physical reality and well being. Whatever the medium, Kinesio-Massage, Aquatic Bodywork or Energy Healing; all her knowledge, experience, innate intuitive wisdom comes to your session. Kalaya continues her education, with presently over 6000 hours in related disciplines; is Nationally Certified in Therapeutic Massage & Bodywork #018143, and licensed in HI #4884 and CA #467. She is an internationally certified instructor of Theta Energy Healing and Touch for Health Kinesiology.